If you are looking for reputable and well established garages in Nailsworth then look no further than The MOT Garage. 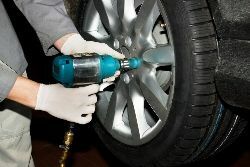 We have many years of experience and we are highly skilled and knowledgeable when it comes to dealing with cars. We are confident that you will not be disappointed with our services, so please read on and find out more. We offer a local garage service for customers throughout Stroud and the surrounding areas and our workshop is fully equipped for all aspects of car repairs and servicing. Our team of skilled mechanics will ensure your car is professionally maintained and looked after for very reasonable rates. We offer an extensive list of services including MOTs for your convenience, so if you would like to learn more about what we provided then please feel free to check out the Services page on this website. We are a highly dedicated team of professionals and we pride ourselves on the first class services that we provide to our customers as standard. If you think that The MOT Garage is the ideal company for you then make sure you get in touch with us today. You can call us on then number listed on this website. Alternatively, you can fill out the handy form on the Contact Us page on this website and member of our dedicated team will respond to your enquiry as soon as possible. We look forward to hearing from you soon.